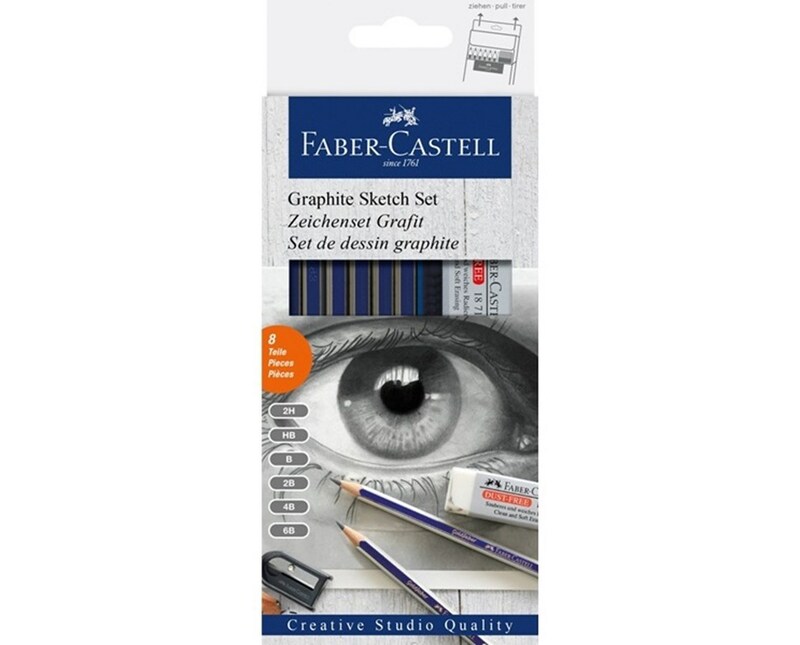 The Faber-Castell Creative Studio Graphite Sketch Pencil Set is an ideal drawing kit for beginners and professionals. It includes six artist quality graphite drawing pencils that are perfect for sketching, hatching, and drawing. These pencils come in different graphite degrees—2H, HB, B, 2B, 4B, and 6B—to accommodate most drawing applications. This drawing pencil set features pencils that produce smooth, uniform lines. Acid-free and lightfast, they are archival quality. Each pencil is encased in a hexagonal barrel that fits comfortably in hand ensuring convenient writing. Equipped with a lead core that is made of finely ground, high-quality graphite and clay, it is break-resistant for reliable and long-lasting performance. The Faber-Castell Creative Studio Graphite Sketch Pencil Set is available in two package options. One is packed in a durable tin storage case while the other is supplied with optional metal sharpener and dust-free eraser for maximum functionality. 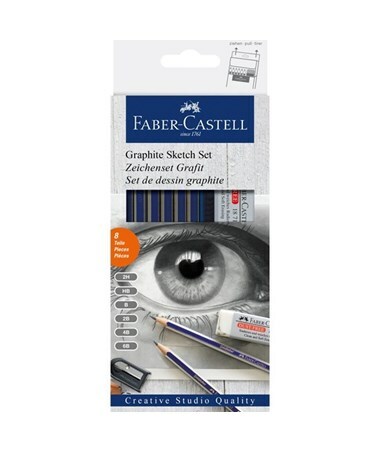 The Faber-Castell Creative Studio Graphite Sketch Pencil Set comes in two package options. Please select your preference from the menu above. This package includes: 6 graphite drawing pencils (2H, HB, B, 2B, 4B, and 6B) and tin storage case. 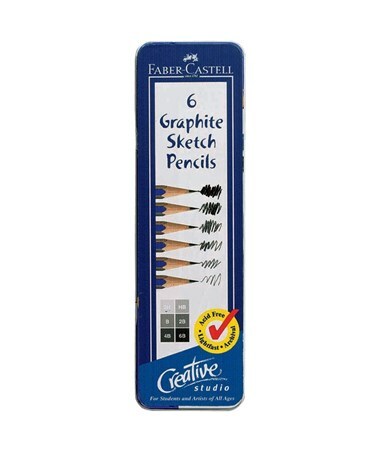 This package includes: 6 graphite drawing pencils (2H, HB, B, 2B, 4B, and 6B), metal sharpener, and dust-free eraser.